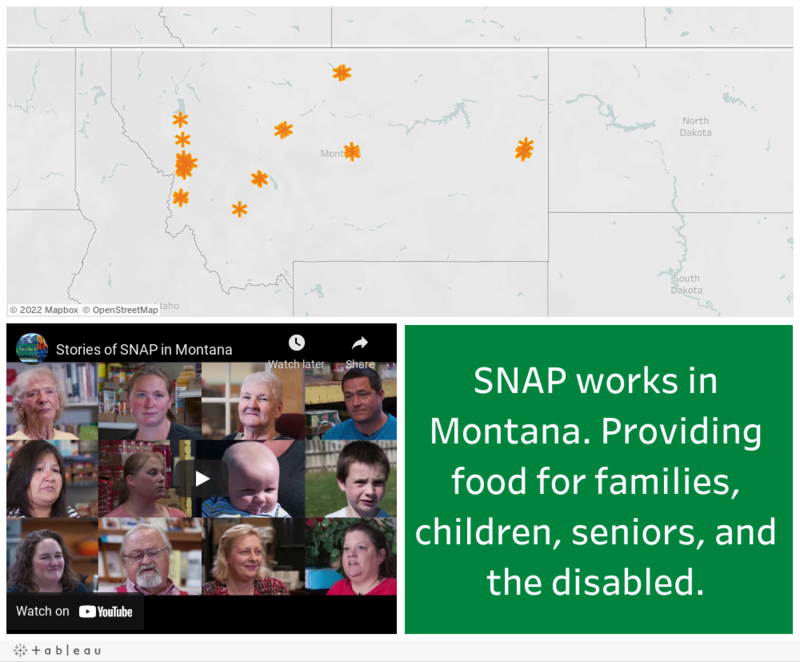 SNAP, the Supplemental Nutrition Assistance Program, is our nation’s most effective anti-hunger program that helps 120,000 Montanans keep food on their table, 70% of which are families with children. SNAP has been proven to improve food security, health outcomes, educational attainment, and economic productivity. SNAP also generates economic growth by bringing $14 million directly into Montana’s economy each month, supporting our retailers, producers, and communities. SNAP is part of the Farm Bill, which is up for re-authorization in 2018. Based on what we’ve heard from Congress, SNAP is at risk of significant cuts or damaging changes. Threats to the program could also come through the federal budget process or other legislative action. Cuts to SNAP would harm families, seniors, the disabled, businesses, and the local economy. We traveled around the state to interview SNAP participants, food pantry employees, retailers, and anti-hunger advocates to tell our members of Congress how important SNAP is to them and their community. Explore our interactive map to hear stories from Montanans acround the state. Each point represents a video or story we collected during our travels across Montana. Sign up for our policy newsletter to receive updates and action alerts on when and how to contact your legislators regarding anti-hunger policies.